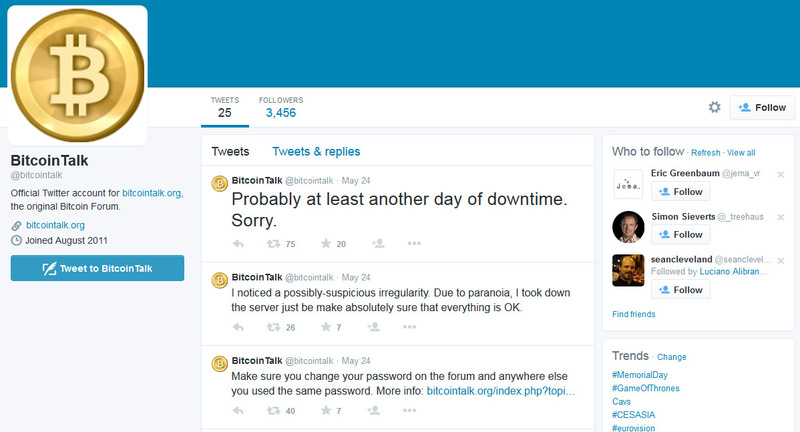 One of the largest online communities regarding crypto currencies, namely the BitcoinTalk forum has seen extended downtime for a few days due to an attack and this is certainly not the first time there have been trouble for the forum. The forum operators have reported on twitter and it looks like attackers have compromised the password hashes and email addresses of the registered users. 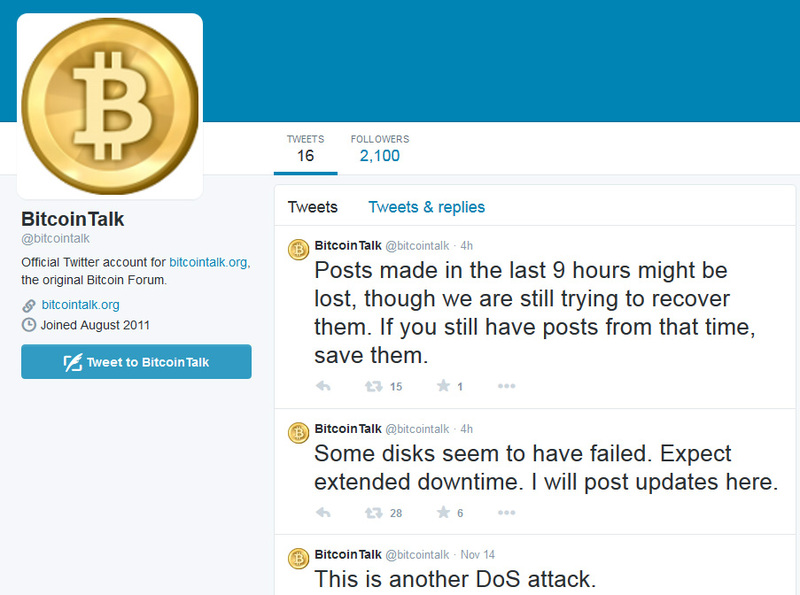 Thus a recommendation was posted that everyone changes their password on BitcoinTalk when it is back online and also change the password in other websites where the user is using the same password (never a wise idea to use the same email and password for multiple websites). There was an attempt to bring back the website today, but it has been taken down again and it will most likely take another day for the forum to be back online, so hopefully tomorrow things should be back online again.